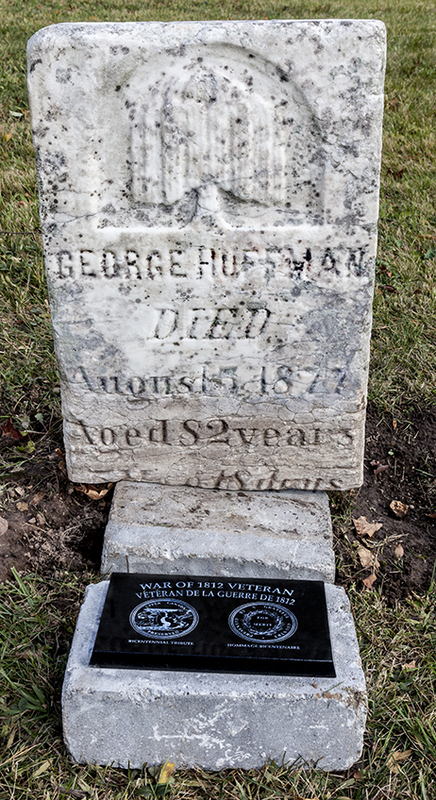 Veterans, Family members and Government Officials gathered today to honour George and Jacob Huffman. 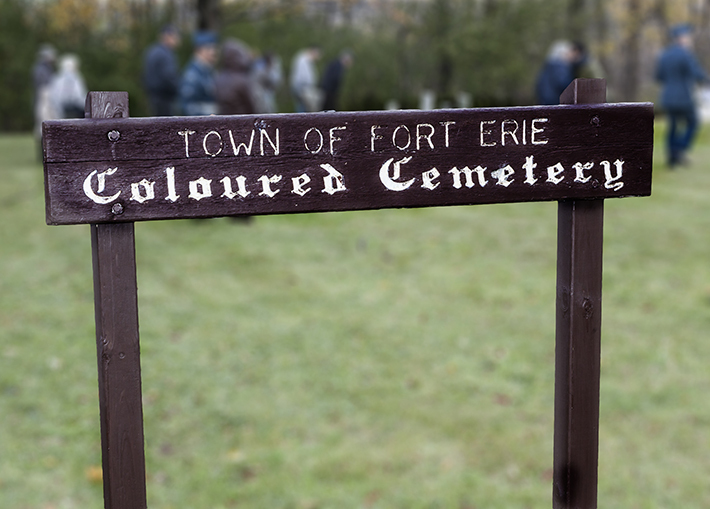 The ceremony took place at the Fort Erie Coloured Cemetery. Both were from the Fort Erie, Ontario area and were enlisted in the Flank Company, 3rd Lincoln Militia. 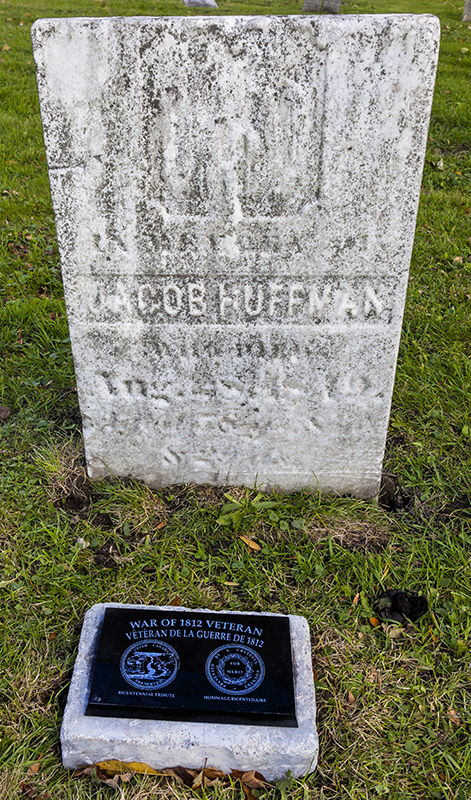 Jacob received two certificated for his service and After returning from his service in the Militia Jacob married and was a successful farmer and owned and operated the Huffman Tavern and Inn which was located in Stevenville not far from Fort Erie. Jacob Passed away August 28, 1849 and was buried in the Coloured Cemetery. George enlisted when he was 18 and served with the Lincoln Militia from June to December 1812. Upon his return He married and opened Huffman’s Tavern. He was also a successful business man buying and selling Salt, Kerosene and Whiskey. George was also heavily involved in the underground Railway. George passed away August 5, 1877. He is also buried in the Coloured Cemetery. 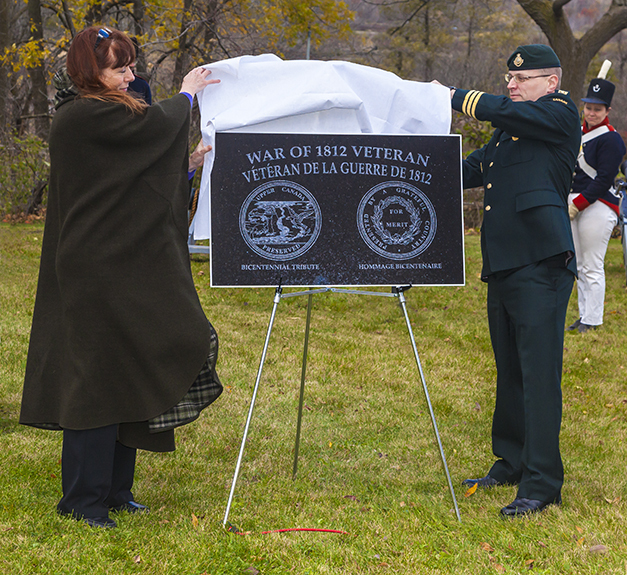 Sharron Huffman-Dell unveils an image of the gravestone marker. 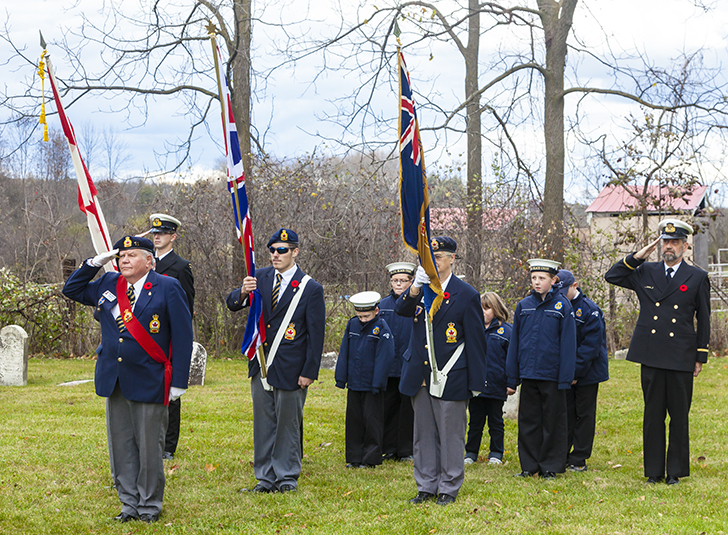 Members from Legion 71 (Fort Erie) and the Naval League of Canada (Black Creek). A group image of the Huffman Family that attended the ceremony, all of whom are direct descendants of Jacob and George Huffman. The Graveside Recognition program will fill a tremendous gap in Canadian’s knowledge about the far-reaching effects of the War of 1812 on our nation. We are one of a very few nations that has not honoured its founders. The graves of veterans of the War of 1812 have never been recognized nationally and by doing so, we will bring an awareness of this time in our history to light in communities that have no other link to the War of 1812. This project will provide a database of biographical information on thousands of veterans of the War of 1812, a database that presently does not exist, and one that will be a boon to future research by students of our history.